The eBay marketplace isn’t the trading venue for every person or for every occasion. Some things just can’t be done comfortably on eBay, given its mission as an e-commerce retail site—finding carpool partners, for example, or advertising services for the elderly. Furthermore, eBay’s geographical tools (for finding items near you) can also feel awkward to use when you’re in a hurry and just want to phone someone local and immediately arrange a trade. Years ago, you took out an ad in your local newspaper’s classified section for such services or needs—today online classified sites like Craigslist have stepped in to fill that function. Problem is, Craigslist is a mixed bag. The site typically sports low-quality images, or none at all, and is often full of spam or half-baked ads that provide little useful information because the poster has never posted an ad before and has no idea where to begin. The presentation usually is colorful, and interactive and designed to be less cluttered than eBay and far easier than Craigslist to navigate. The system provides much stronger cues for listing posters (such as a scaled-down version of the eBay item listing form) so that listings have similar formats and provide more information than Craigslist listings. In other words, it's easier for novices to make a complete and informative post). A built-in map integration makes it easier to estimate how far from you a service or item is located. The website provides the same “beyond selling” categories you’ll find on Craigslist, including services, local coordination (for things like carpooling), housing, job listings and resume postings, and so on. A site-wide search that shows categories in the results. As a bonus, classified listings are searchable from the main eBay.com website, a feature that can increase exposure and chances for a sale. You want something now, without having to wait for an auction to end or shipping to occur. You want to meet the person you’re doing business with. You’re looking for something that isn’t strictly for sale or shippable, like a job, a pet, a carpool match, or a service provider. Visit the eBay Classifieds website. Select your location from the list of available locations. If you’re in a major city, you can simply choose that, otherwise you’ll need to choose a state or region first. Either browse through the categories to find a listing that interests you or use the search box at the top of the page to conduct a keyword search. Use the “map it” link if you’re interested in nearness to ensure that the item/service/person is acceptably near to you. Click on the prominent “Reply by Email” link at the upper-right of any listing to write an email to the seller/provider expressing your interest, or use the phone number in some listings to give that person a call. Arrange to meet and go from there. You don’t want to bother with shipping. 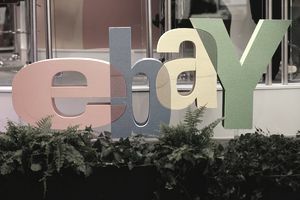 What you are selling or providing is either not available in eBay categories or is forbidden by eBay rules but not eBay Classifieds rules (for example, because it can’t legally be shipped). Your product, service, or interest is exclusively local (i.e., there’s no reason for people outside your region to even see your listing). You’d like to get paid in cash or check up front, rather than having to work with payment services like PayPal. You don’t want to be contractually bound and under time pressure as you are as an eBay seller. Click on the “Post your free ad” link at the upper-right of the page. Select the appropriate category for your ad from those provided. Fill out the relatively simple form that follows for items in that category. In comparison to eBay forms, these are a piece of cake. Remember that the boxes not marked “required” are optional (including the location box) and that you can provide as much or as little information here as you like. Click “Preview your ad” to see a preview of what it will look like, and then “Post” if it looks good to you. Follow the email confirmation instructions that follow to confirm that you are a real person with a real email address. That’s it—your ad is published and will appear online.